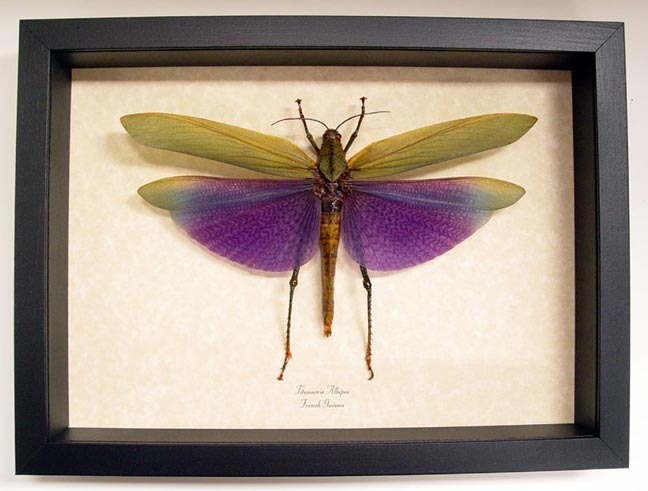 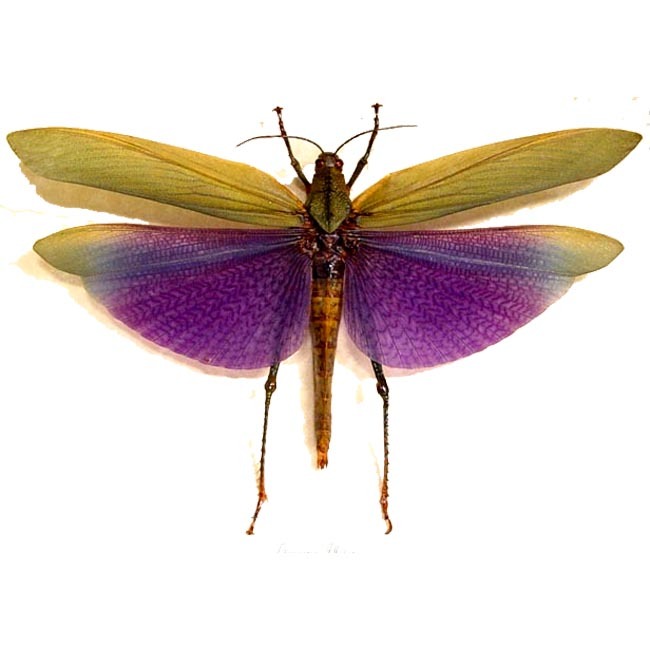 Description: This beautiful female bold violet purple grasshopper uses its bright colored hind wings to defend itself. 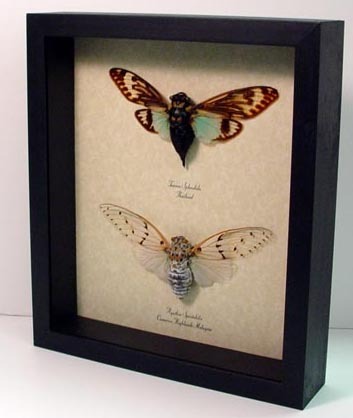 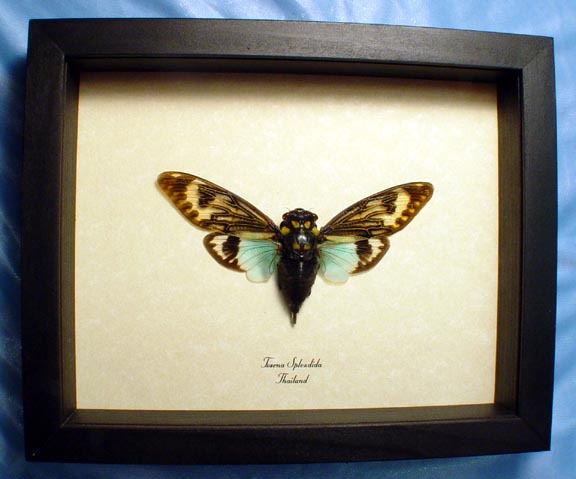 The sudden display of purple color hidden beneath its green front wings startles it’s predators and gives him a chance to escape. 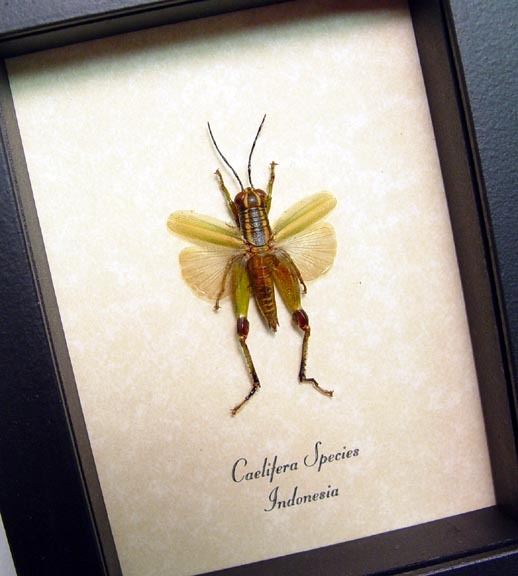 This colorful grasshopper is only found in the tropical lowlands of French Guyana in Northern South America. 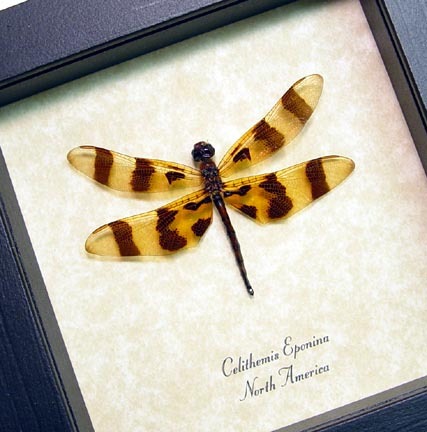 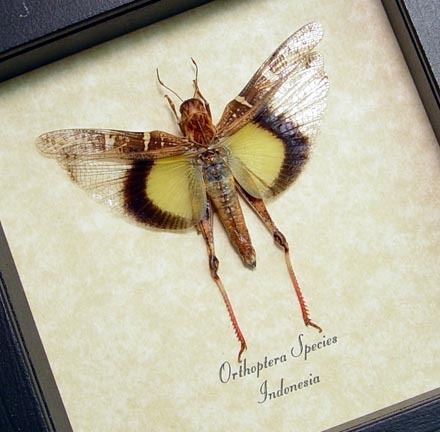 This huge female grasshopper has a wingspan of 7 1/2″+ a true giant!